Daliso Chaponda is a Malawian comedian known for placing third in the 2017 series of Britain’s Got Talent. His career started in Canada in 2001, before he moved to South Africa and then on to the UK. He worked hard and shone early on, swiftly progressing through the club circuit and making a mark at Edinburgh’s Fringe Festival. Next to being a quick-witted comedian, Chaponda is also a published fiction writer. He was a finalist in the 2002 L. Ron Hubbard Writers of the Future Contest, while in 2005 he was shortlisted for the P&E Award for online writing. Chaponda has toured popular comedy shows such as ‘An African Perspective – Westerners Calm Down!’ and ‘What the African Said’. 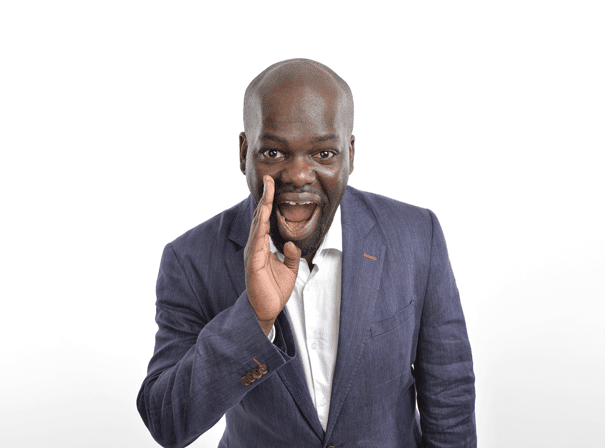 He has played up and down the country to sell-out crowds in a range of famous venues, and recently signed with BBC Radio 4 to create a new series called Daliso Chaponda: Citizen of Nowhere. The affable star has branched out into writing for radio and co-penned a BBC Radio 4 drama-comedy series Sibusiso Mamba’s When the Laughter Stops. Continuing to tour his own well-received shows that combine the political and the personal, Daliso Chaponda is a much-loved comedian on the international circuit.